Each year, 25,000 Canadians are diagnosed with dementia. But dementia is more than just numbers – it’s our friends and neighbours, people we see every day in our community, like Viv’s wife Sheila – who has vascular dementia. Viv describes how the support of a small group of people in a similar situation has allowed him to persevere. They help each other by contributing thoughts, ideas, coping mechanisms and sometimes, they just enjoy their coffee and a chat. Click here to read his story in our January eNews. This January, during Alzheimer Awareness Month, be #initforalz. You may know Darren Dreger from TSN’s Hockey Inside, but did you know that he is personally affected by this disease that so many of us face and will face in the future? Whether it’s a parent, sibling, husband or friend, dementia affects us all. Watch this video to find out more about how Darren and his family dealt with the journey. Click here to read six stories of Manitobans affected by dementia and how they are #initforalz. You can take action to support people with dementia by learning how to better communicate with them. Improving your communication skills can help you to build relationships, interact with and include people with the disease in community activities. Address the person by name; speak clearly and at a normal pace. Talk about things of shared interest. Back up your words with actions or gestures. Maintain eye contact during the conversation. Ask open-ended questions and allow time for the person to reply. Rephrase their responses to better understand what the person is telling you. Suggest a word or idea if the person is searching. Listen actively and acknowledge the person’s feelings. Enjoy the time you spend with the person. Click here to download the printable poster version of Communicating with People with Dementia. Our vision is of a community that respects, supports and empowers people with dementia; a community in which people with dementia are socially and culturally valued; a community where people with dementia still actively participate in a safe environment. Click here to learn more about how you can help. There are some practical things you can do to help you live as well as possible with dementia. Keep stimulated, focus on the things you can and want to do, maintain a healthy lifestyle and try not to become isolated. Click here to learn more about how to live well with dementia. Register for the Minds in Motion® Winter 2017 sessions at six locations in Winnipeg and one in Portage la Prairie. 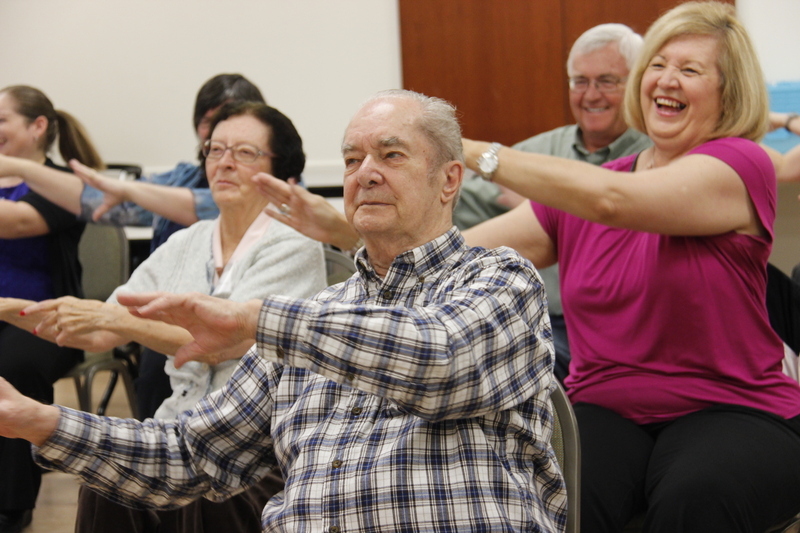 This eight week program combines physical activity, socialization and mental stimulation for people living with early to moderate symptoms of Alzheimer’s disease or another dementia to attend with a family member or community friend. • 45 minutes of physical activity led by a trained physical activity program leader. • 45 minutes of socially stimulating mental activities facilitated by an Alzheimer Society of Manitoba program staff and volunteers. •30 minutes of socialization which includes a healthy snack. Cost: $56 per participant pair. Click here to view upcoming sessions in your area and register today. • engage socially with program participants. • assist with the set-up and clean-up of refreshments, games and activities. • assist with program facilitation. Click here to register for one of three information sessions. Join us on Facebook for the most current news, information and resources. If you’re already tuned in on Facebook, please invite your friends. check out the Alzheimer Awareness Month posts throughout January. share your personal stories and let others know how your family has been touched by Alzheimer’s disease or another dementia. encourage your friends to “like” our page. 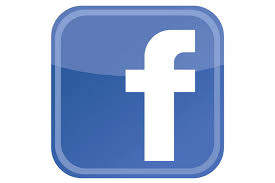 Click here to “like” us on Facebook now! 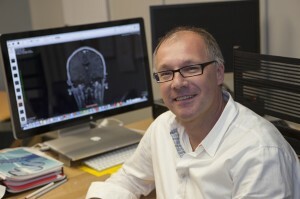 What Can Brain Imaging Tell Us About Dementia? Come to hear how information learned from brain imaging can assist in the diagnosis and treatment of dementia. Click here to register online or call 204-943-6622. 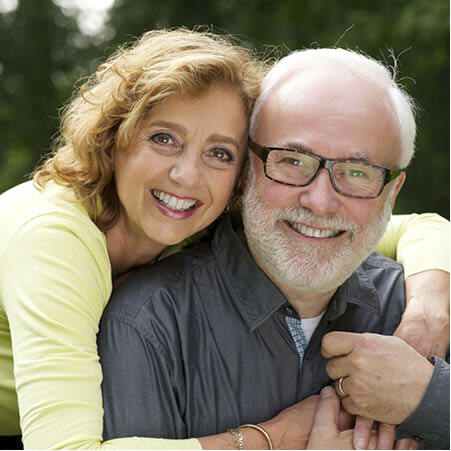 Click here to read more about Dr. Marco Essig in our January eNews! The dementia journey poses many challenges and having an understanding of what you are facing can make a difference. The Society offers information sessions and workshops to help families know what to expect as the disease progresses. Click here to find out more about upcoming education sessions and other workshops across the province. No one should have to face this disease alone. The Alzheimer Society has many programs and services to help you or someone you care about live as well as possible. Click here to find out how the Alzheimer Society of Manitoba can help. 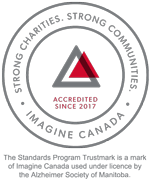 We’re the leading nationwide health charity dedicated to helping Canadians living with Alzheimer’s disease and other dementias, their caregivers and families. We do this by raising awareness, fundraising for research and advocating for change. Click here to learn more about the Alzheimer Society of Manitoba. Whether you volunteer your time or make a donation, we need your support.